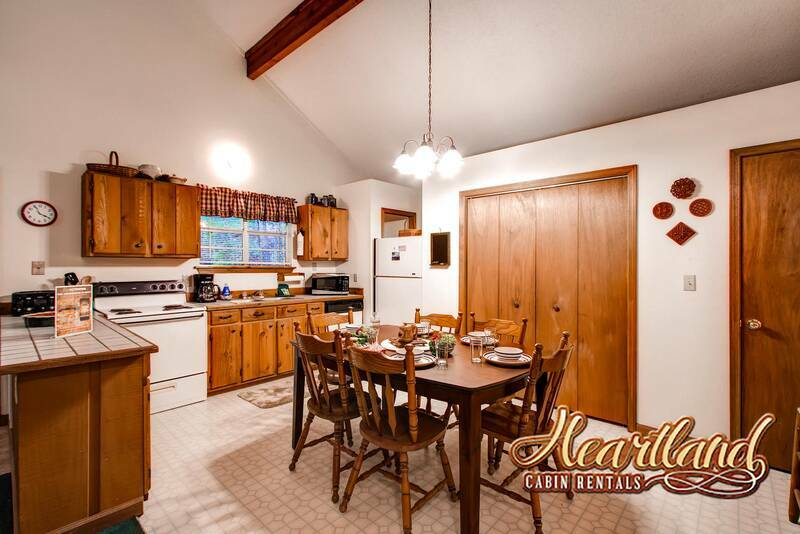 Newly updated chalet! 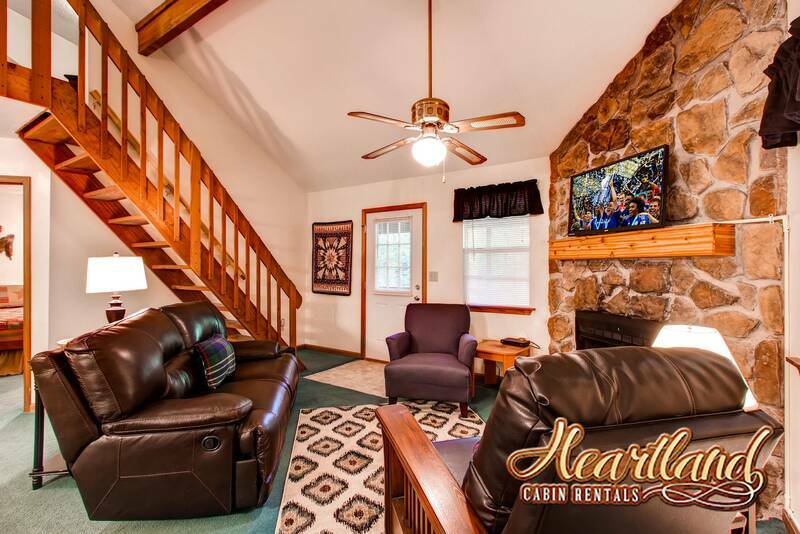 Deer Wood Cabin is a cozy 2 bedroom cabin tucked away in a wooded area but is also close to Dollywood, Dolly Splash Country, Restaurants, Shows and Shopping! 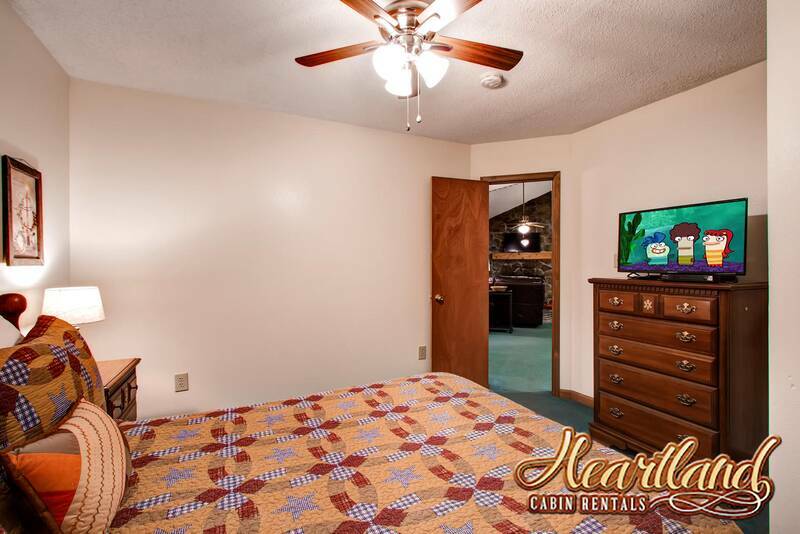 Each bedroom and living room has a flat screen TV. 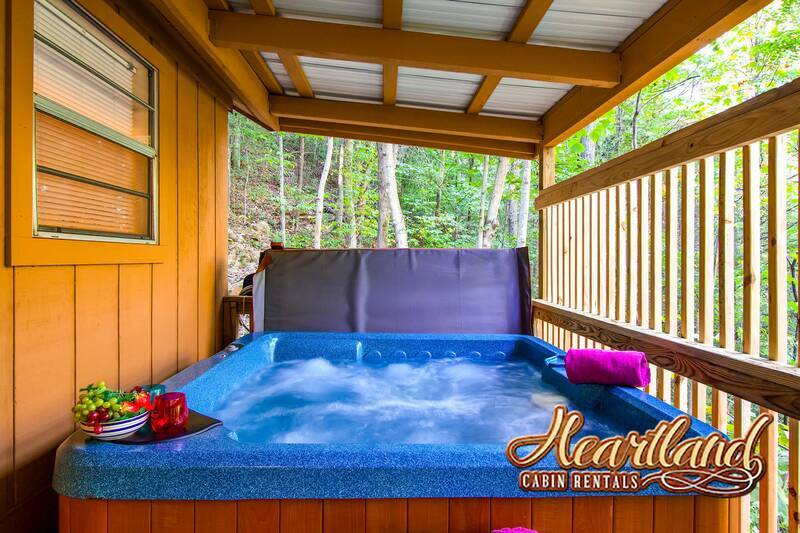 Cabin also features WiFi, Jacuzzi Tub and Hot Tub. 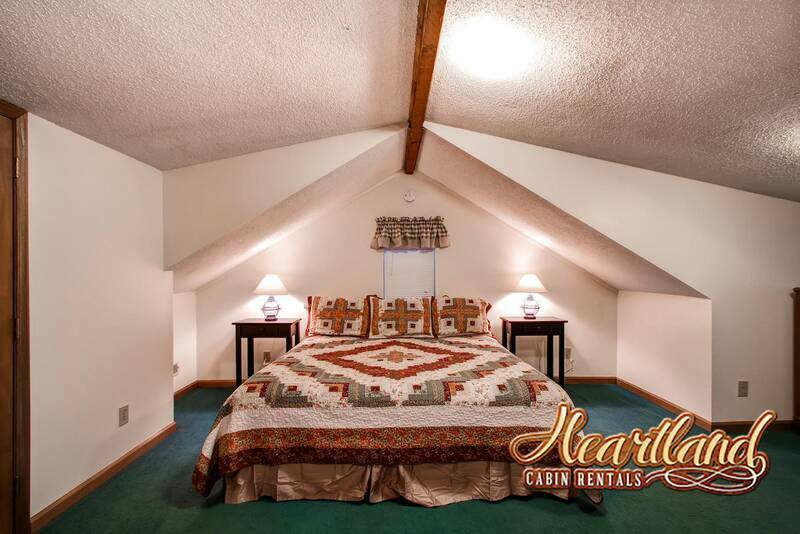 Open loft features a king bed, flat screen TV and bath with Jacuzzi tub. 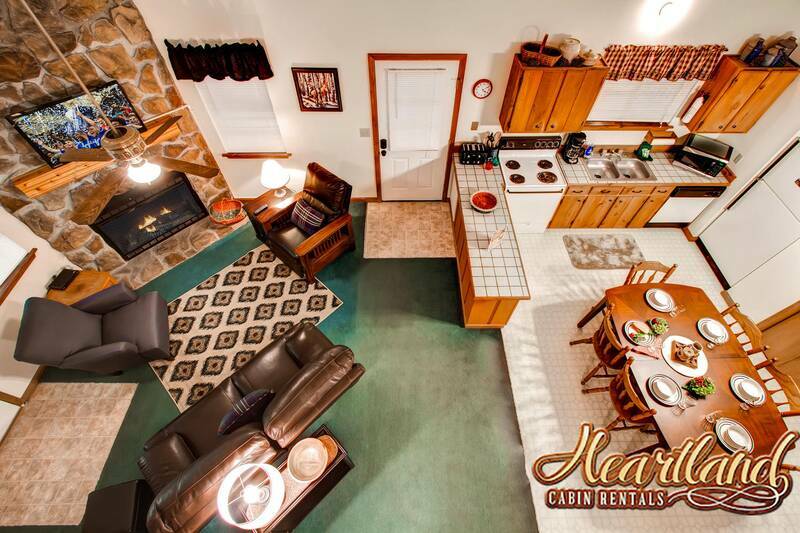 Down stairs offers a full kitchen, washer and dryer, dinning area and living room with flat screen tv. 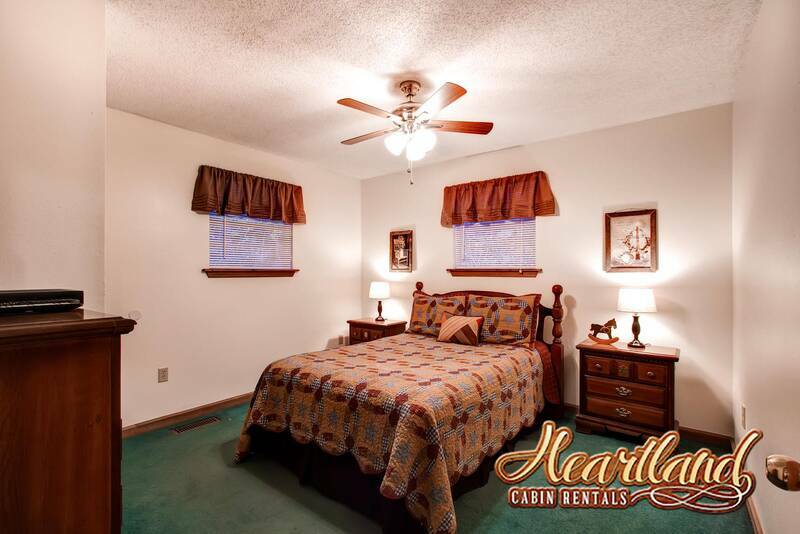 Full size bedroom with tv and a bedroom with twin beds and flat screen tv and full bath with shower/bath tub combo. 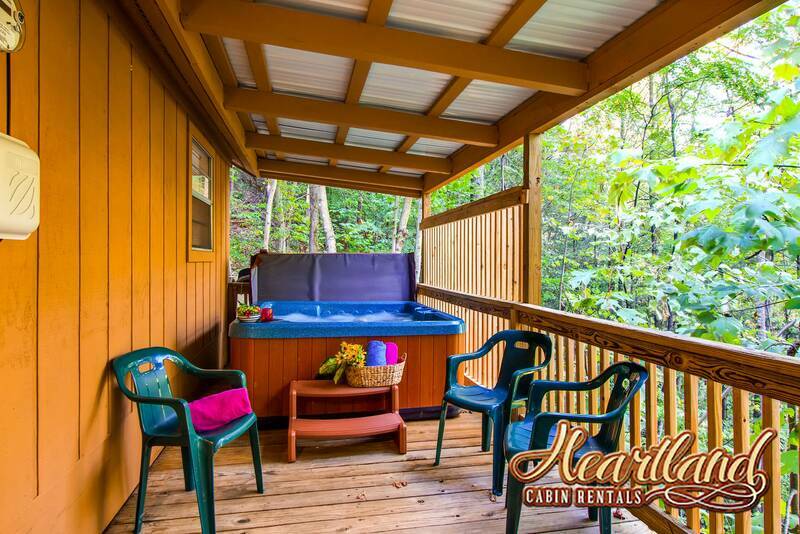 A Hot tub and porch swing are on the deck to relax after a long day of exploring what the Smoky Mountains has to offer and shopping. 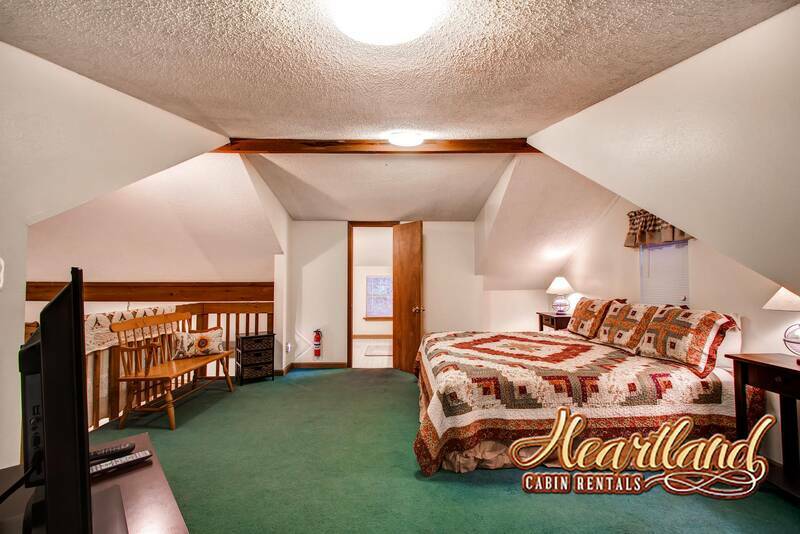 Great cabin - good location, quiet, kids loved the hot tub! We stayed five nights and our boys said it was the best vacation ever- so thanks for the great accommodations! 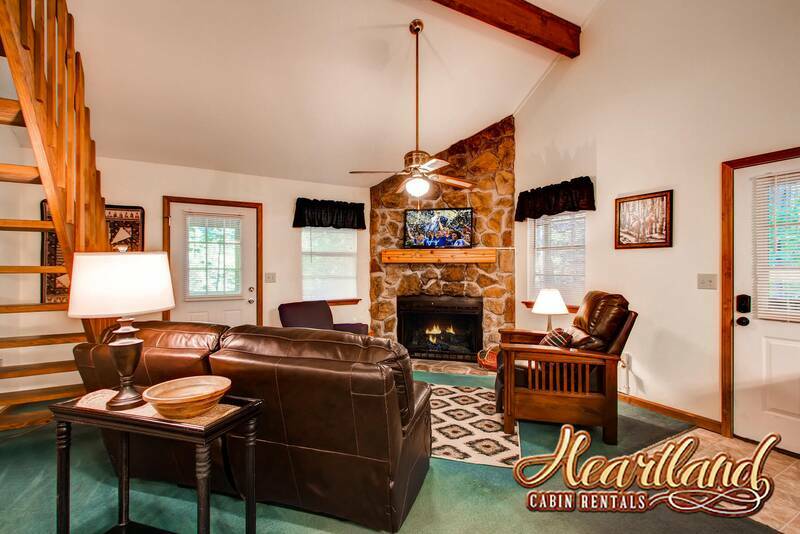 This was our first trip to Tennessee and staying at heartland cabins was the best decision! 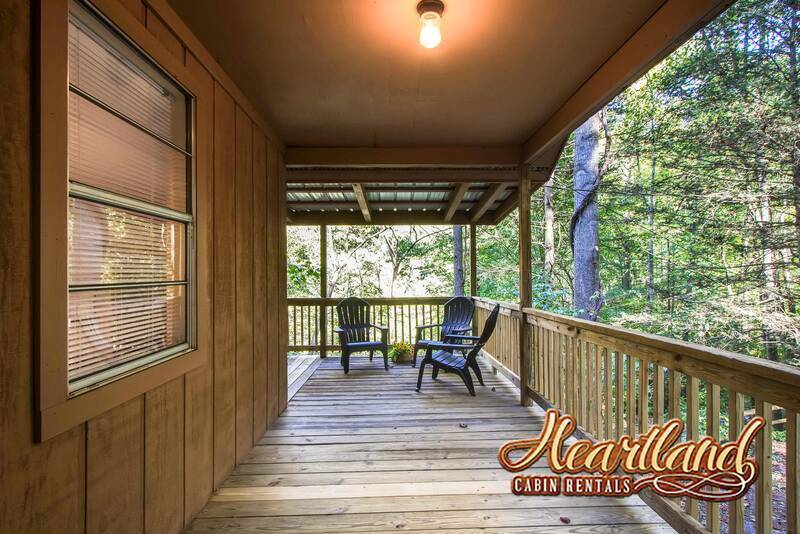 I would highly recommend contacting heartland cabin rentals for your stay here in Tennessee! Our family stayed the week after Christmas and it was great. I would definitely make sure to arrive during daylight hours as it is a little hard to find. 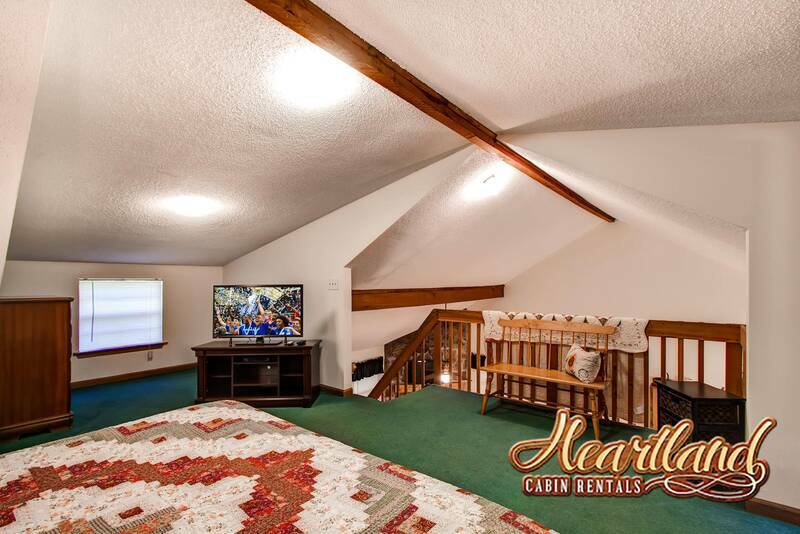 The cabin was exactly as advertised/pictured. Nice, small, cozy. Everything worked properly. Is a little hard to find the first time; GPS is not exact. Semi-private. 3 cabins located off to the side and a little higher (on a different road). Advertisement did not mention needing 4x4 or chains in Winter. However, at the beginning of the road (right off the main road) the road sign clearly states need 4x4 or chains in winter beyond that point. Luckily the weather stayed in the 50s during our stay. Bathroom upstairs has a slanted ceiling, must be careful when at the toilet (we hit our heads a few times). Heartland staff was very helpful and nice. Would stay here again! This little cabin was perfect! Not too big, Not too small. 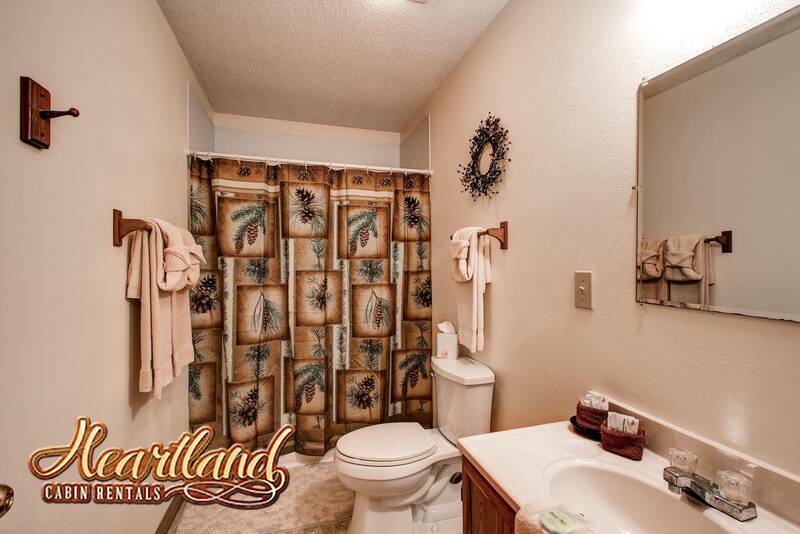 Very secluded, so plenty of privacy! 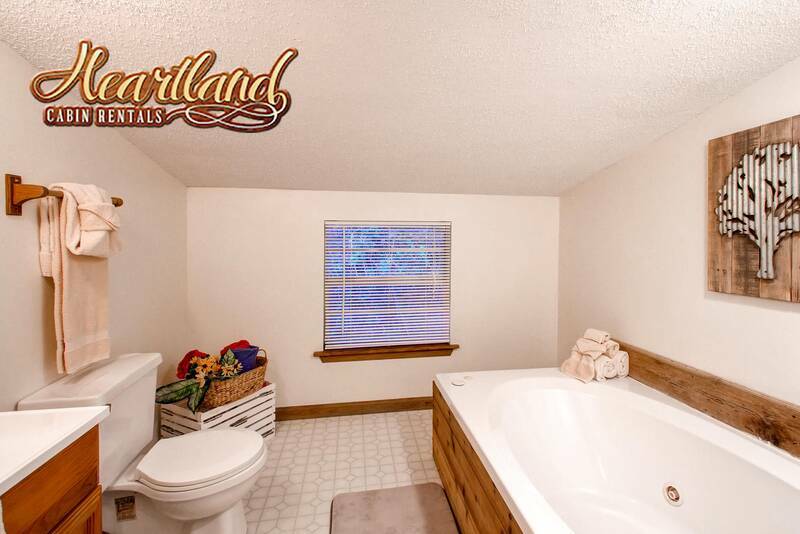 Heartland made everything very easy and simple! Check in and check out is a breeze. It was a little difficult to find. 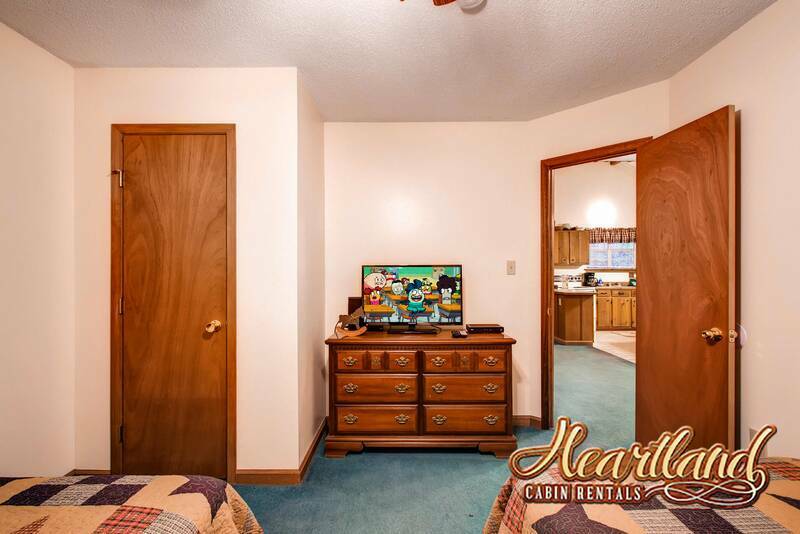 GPS will not take you to this cabin, you must go by paper directions from the rental office. Even with a little trouble at first finding the cabin, when we arrived and saw where it was at and how home-like it feels, it was a great stay! 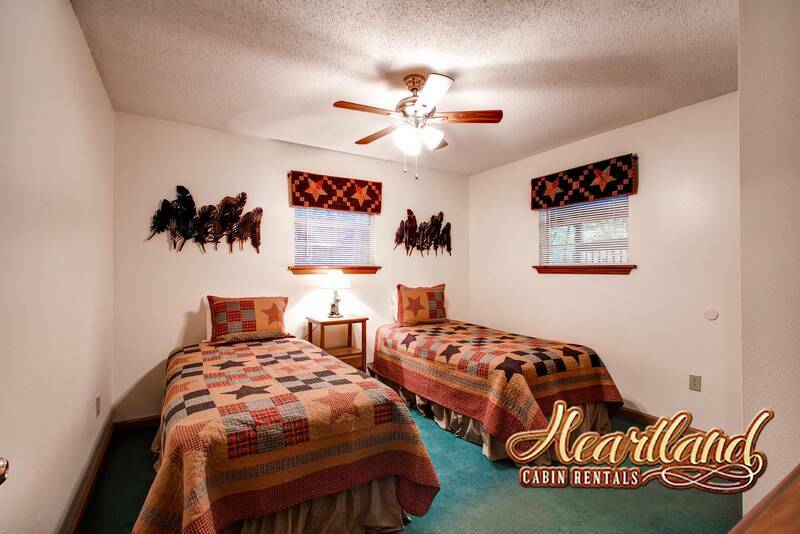 You will not be disappointed with this cabin or with Heartland Cabin Rentals. 5stars all the way around. We loved our stay at Deerwood. It was quiet and peaceful. We were able to get to the parkway within minutes to enjoy the shopping and also some walking through the Smokey Mountain Park. We are looking forward to coming back! Nice cabin. Picture's were 100% accurate. 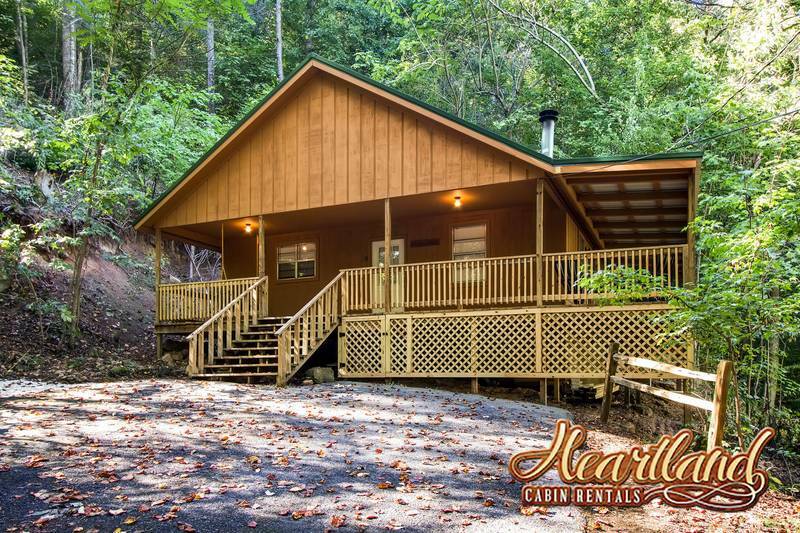 Nice the cabin and hidden in the woods and secluded. Had a great time while in Pigeon Forge. The cabin was very clean and nice. The hot tub was really great after being out all day. 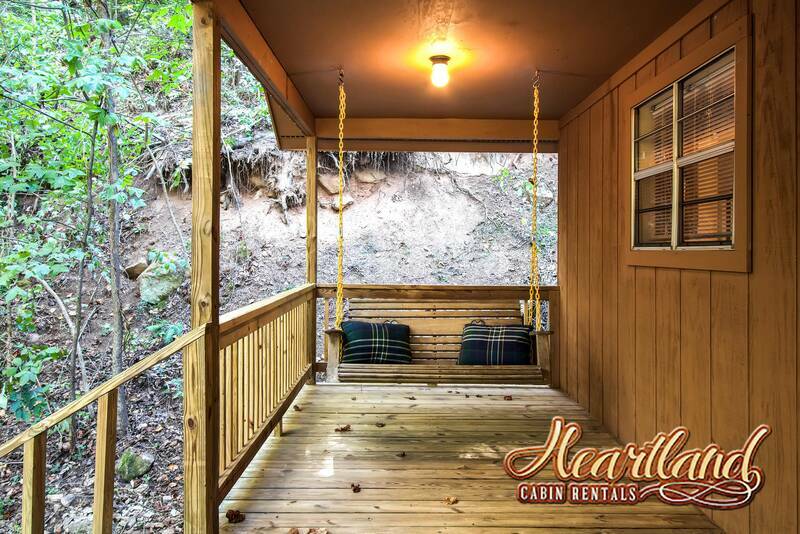 Would definitely rent this cabin again and recommend it to others. The staff was very friendly and helpful, had no problems checking in or out. Thank you for a wonderful time at your cabin. Cabin was acceptable. Back/side door was hard to lock, no cable/wi-fi first day. But staff responded politely and quickly. 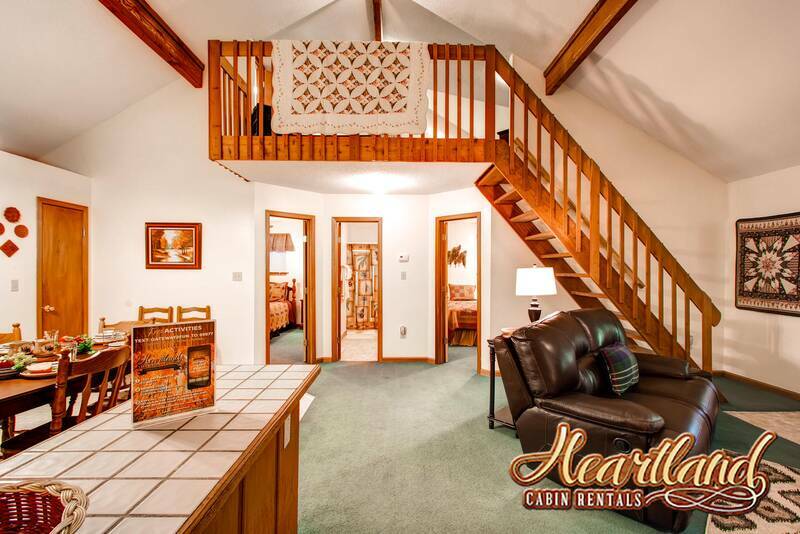 Would use Heartland again if we travel to Gatlinburg in the future.